Thank you Lord for the much needed moisture! I hope this rainy weather has helped you find some time to work on those projects...UFO or new! I'm slowly getting into a routine and have been able to complete block #4 of Whooterville! 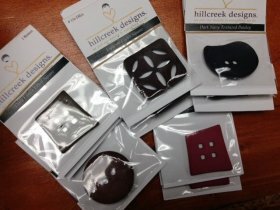 A new shipment from Hillcreek Designs came this week! 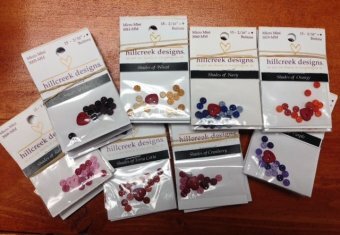 There is a wide variety of micro mini buttons and some large buttons available! Our NEW line in this week is called American Dreams from Henry Glass & Co. 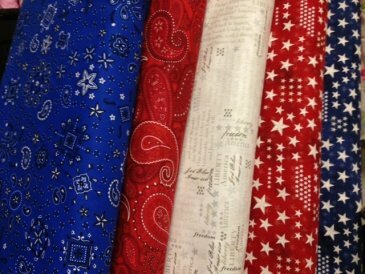 These Americana colored fabrics are just in time to make a table runner or wall hanging for July! They sure do put you in the mood for Summer time barbeques! 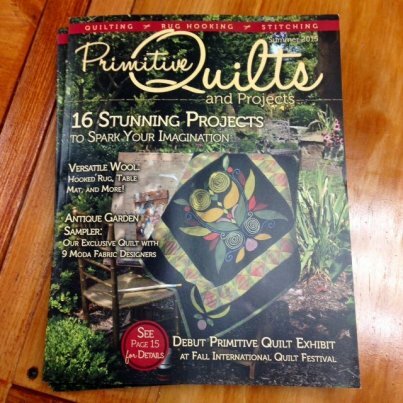 Calling all Primitive Quilts and Projects magazine lovers! The Summer 2015 magazine is in store now! 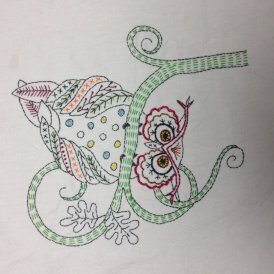 There are some beautiful projects you won't want to miss in this issue! The second Tote Class I class is full. Those who are signed up should have received a supply list email this week. If you haven't please call the shop at 308-344-9389 and let us know! Time to get to planning our 6 month celebration! Did you mark your calendar to join us? Check us out on Facebook! Have a blessed day!